Bill Gray's Regional Iceplex is the ideal location to take your group for a unique outing centered around fun and fitness. We offer two standard skating package options that are popular for groups looking to hit the ice. 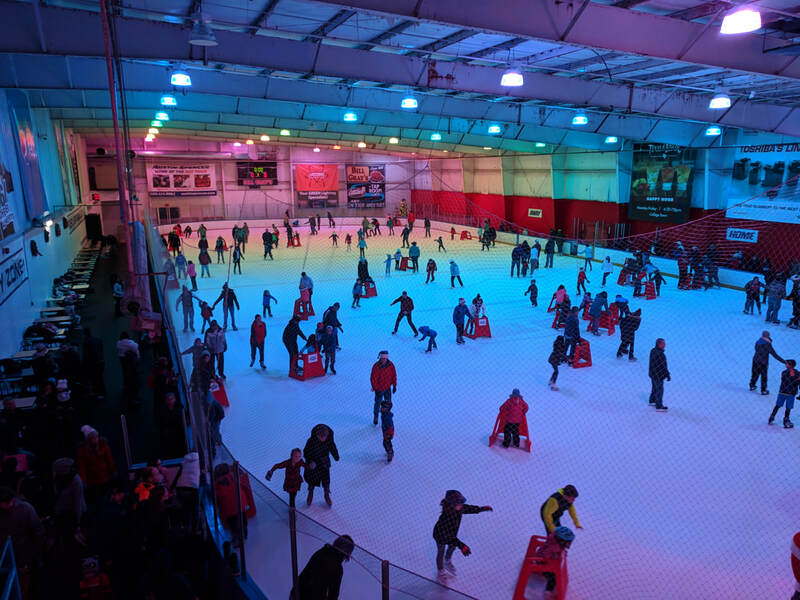 We have an unlimited amount of custom options that we are able to offer, such as roller skating, broomball, holiday parties, private DJ, fully catered events, skating instruction or a private drive in movie in our parking lot. Contact our event specialists for more information and to book your group outing at the Iceplex. $6.00 per person includes rental skates and admission to any public ice skating session. a one hour private ice skating session. If you can think it, we can do it! Work with one of our party specialists to put together the ideal event for your group!